Offering dust cartridges and dust extraction bags for DCE Donaldson Torit, Camfil Farr, AAf, Kemper, Nederman, Mhale plus many more along with solenoid valves, header tanks, filter cages filter socks and multi pocket filter bags. C-Air's Dust Spares Division can supply replacement parts and spares for most makes and models of dust extraction systems at competitive prices. We are stockists of most makes of retrofit and OEM dust spares such as Farr, DCE Reverse Jet Filters,Donaldson Torit, Kemper, Nederman, Plymovent, AAF, Mahle to name a few! Retrofit filters last as long as OEM on most occasions, so why pay more! C-Air's Dust extraction division can supply replacement spares for most makes and models of dust collectors on the market. We supply replacement filter elements in many different grades for applications such as wood dust, shot blast, foundry, food and beverage, and bulk powder. The list of filters is endless so if you don’t see what you need on our website then please call our dust experts today. Our dust collection cartridges are designed to provide the best options for the widest range of applications. We have a large list of part numbers to cross reference with our own equivalent filters. 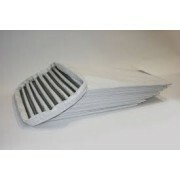 Stocking over 150 different styles of dust filters. We take pride in being one of the leading dust cartridge suppliers in the UK. If your type is not listed dont worry we will make any size to suit your needs and application. “80-20″ Cellulose/ Polyester – The most common filter media in used in dust collection applications, 80/20 media provides a high surface-air ratio and fantastic performance. Our cartridges use the best quality media blends which provide excellent dust recovery in most applications with long service life. 100% Cellulose – Cellulose cartridges are commonly used in dust collection systems. Economically priced, these cartridges provide medium removal efficiency and desirable longevity. 100% cellulose is also available in Flame Retardant styles. Mounting and Fitting Styles - We supply virtually every mounting style and gasket placement in the industry. We can quickly identify, specify, and quote cartridges for any make or model or application. Why Choose C-Air? - We offer many more media types such as PTFE, Nanno Fiber, Carbon, Flame Retardant etc in any size or design mainly off the shelf with next day delivery. We offer value for money long lasting products throughout our retrofit rage or OEM dust cartridges, bags and pre/after filters. We can boast that our filters often last longer than our competitors filters at significantly lower cost. 99% of our filters are made in the UK. 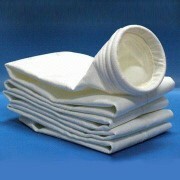 We can supply multi pocket and single pocket filter bags for most makes of dust collector. Made in many different media from Polyester, dura life, Glazed, Anti static. With snap bands , cotton ,raw edge, velcro or even zips ! Some filter such as the Unimaster types come on metal frames for ease of fitting some filters will be made to drop down into the unit and held in place with venturi. What ever you dust bag needs we can help all of our dust bags are UK made ! Whatever you need we will be able to make it ! You dust extraction systems require regular servicing / inspections just as you would with your car call it a Extraction MOT test if you will. At C-Air filtration we offer . service solutions for any extraction system , ducting and hoods. We have a team of fully trained (working to to HSG258) who are able to offer maintenance to any model of dust extractor. We can schedule your maintenance around your needs and we can even come at the weekend ! With engineers based all over the UK we can normally attend to your issues fast with the solutions to any problems fixed and with a full report to let you know what we have carried out. We can block book service contracts for up to 3 years giving you peace of mind that your routine servicing is booked and we offer discounts for contracts that could save you a lot of time and money. So why not call our team today for a chat about your servicing requirements today on 01706 220373. C-Air Filtration are Experts in the supply of ducting , supply , installation and design. We can supply many different types of ducting including smooth clipped, spiral wound, clip lock, flanges & stainless steel. Our design team can fully work out what you may need by s no obligation site visit or of course we can offer you ducting on a supply only basis.